In September-October 1949 Robert Klippel began a relationship with New Yorker Nina Mermey, a University of Syracuse graduate on a trip to Paris. He later married her in 1954. 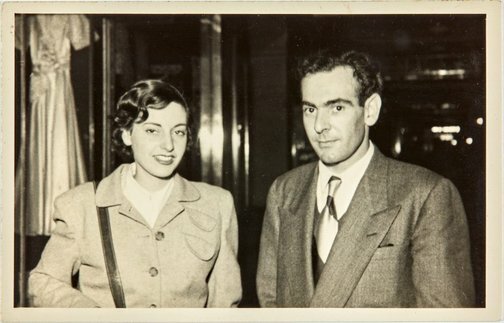 After Klippel returned to Sydney in 1950 Mermey visited him from August 1950 to June 1951, during which time this photograph was taken at Her Majesty Arcade in Sydney city.